GUN Architects, engages architectural and urban projects that range from temporary pavilions to large scale Masterplanning exploring material and performative manifestations of the built environment. 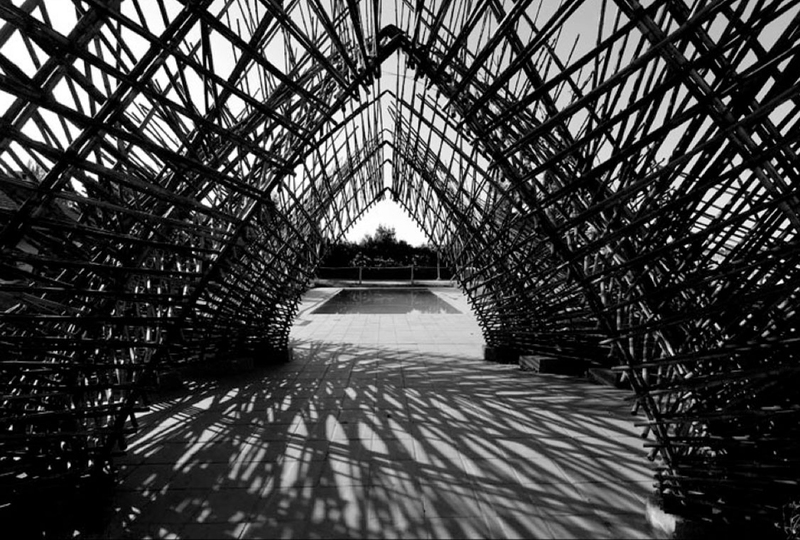 The project is conceived as a prototype for the use of bamboo in its structural and environmental capacities. Using weaving and layering techniques, the project develops gradual patterns of transparency and opacity organizing the bamboo bars in systematic stratifications for the control of light, wind and heath. Spaces are differentiated regarding their degrees of shading and permeability offering more intimate or public environments. Engaging the ground as an opportunity to conform a piece of garden, the foundation system is developed as a series of stripes that modulate different vegetational clusters and standing points.